In this week’s The Investor Success Podcast show, with special guest, Joe Fairless, we talk about going from single family homes to buying apartment complexes. How to approach potential private money partners and present your deals to them. Joe Fairless is the host of the world’s longest running daily real estate podcast, Best Real Estate Investing Advice Ever. His career began in New York City as the youngest vice president of an advertising agency, to creating a company that now controls over $54,000,000 worth of real estate. 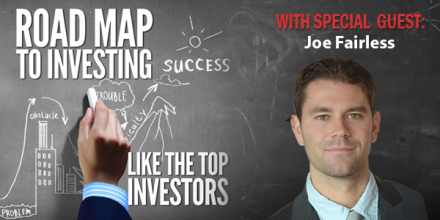 Joe’s, Best Ever Podcast, hosts distinguished real estate investors and entrepreneurs to share their advice and success stories. Past interview guests include Barbara Corcoran and Robert Kiyosaki. Joe’s new book, Best Real Estate Investing Advice Ever, Volume 1, has been personally endorsed by Barbara Corcoran, and all profits are being donated to Junior Achievement of Cincinnati. Join your podcast host, Jim Ingersoll, in the Investor Success Mastermind.